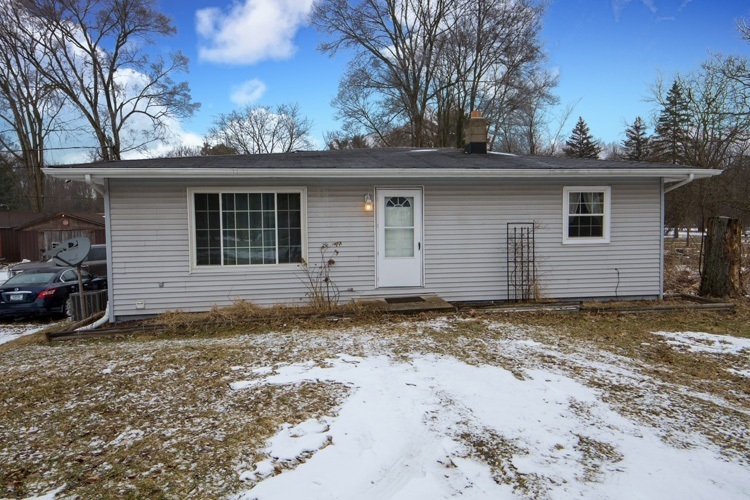 MOTIVATED SELLER: Great Jimtown location (Jimtown Schools) with easy access to Elkhart and Mishawaka/South Bend. Three-bedroom ranch freshly painted and new carpet in living room and bedrooms. Eat-in kitchen overlooking the private fenced backyard with large deck and garden shed. The fenced in back yard boosts large organic raised garden beds great for a simple garden and easy to maintain. Network jacks in multiple rooms and Network Panel staying which makes it great to work from home. Refrigerator 2018, Whirlpool Washer and Dryer 2017, Furnace and A/C 2007, Water heater 2013, 200-amp service, LOW TAXES & 12 month Home Warranty Included.